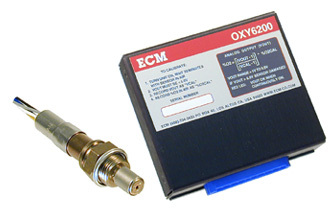 The OXY6200 Engine Oxygen Monitor is a versatile instrument for a broad range of engine, combustor, and catalyst tests. The OXY6200's modified UEGO sensor and sensor control strategy allows the sensor to be installed in the exhaust and intake of engines to support EGR development work. Exceedingly simple to hook-up and operate, the OXY6200 comes complete with sensor, harness, module, operator's manual, and a mounting boss and plug. 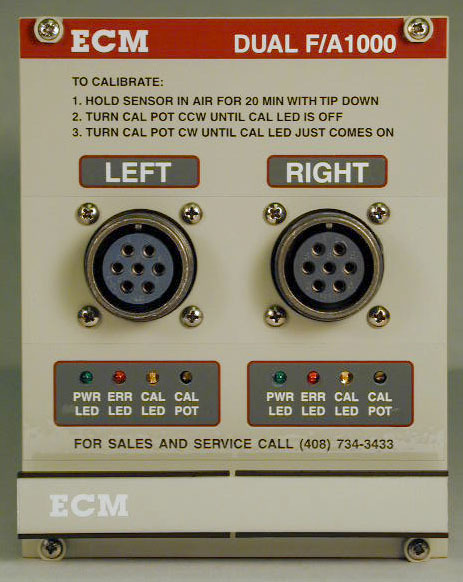 The 1.0v to 5.5V analog output is linearized in %O2 and can be connected to any data acquisition or engine control system. The OXY6200 provides unmatched oxygen measurement range, accuracy, and speed-of-response in a compact, lightweight package.